TLC The Littleton Clinic offers many services that use the technology of PRP including: regenerative musculoskeletal treatments, the O-Shot®, The Vampire Facial® , and Regenerative Hair Restoration treatments. With so many diverse applications of this technology, let’s take a closer look at how it works. 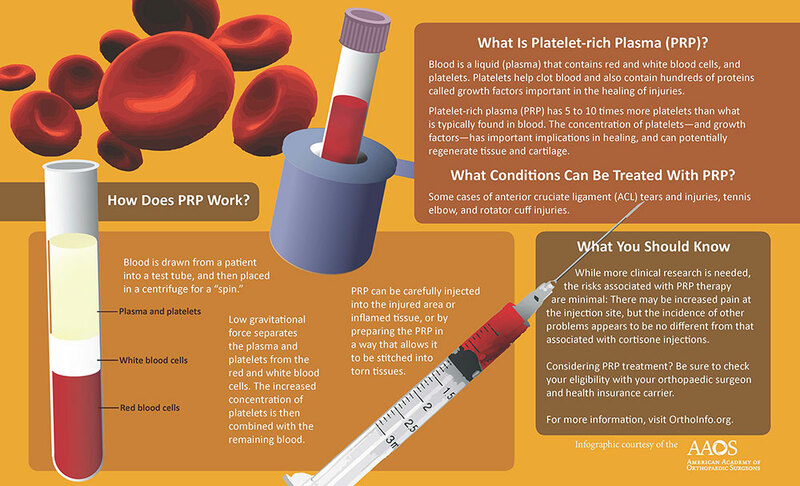 PRP stands for Platelet Rich Plasma. It is a blood product concentration of the growth factors and other healing cells from a patient’s own blood. Research into the therapeutic uses of PRP has been reported as early as the 1970s, though at that time the process was very difficult due to highly expensive equipment, and was used sparingly. Beginning in the 1990s and extending into the early 2000s, the use of PRP began to expand into the treatment of orthopedic injuries, specifically to help healing with bone grafts and fractures. Mishra and Pavelko from Stanford University published a paper in the American Journal of Sports Medicine documenting the first human study using PRP for tendon issues. Read their paper here. 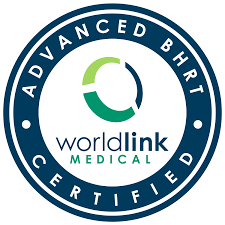 Since that time, the use of PRP has grown as the techniques have become more sophisticated and the equipment has become smaller, more affordable, and more accessible for practitioners. PRP is injected percutaneously (through the skin) either with a needle (for treatments like regenerative musculoskeletal PRP, Hair Restoration or the O-Shot®), or with a microneedle (for treatments like the Vampire Facial®). These injections work on a very simple principle: injecting a stimulating solution at sites of pain, weakness, breakdown, or other dysfunction stimulate the body’s own healing mechanism to repair and rebuild injured tissue. This repair process leads to a stronger and more supportive structure, whether that be a tendon, ligament, cartilage, collagen fibers of the skin, vaginal tissue or hair follicles! The applications of this treatment are wide-ranging, but they all work based on a similar concept. The mechanism of PRP can be broken down into three primary phases of healing. When an injured area is injected, the injections initiate the first stage (inflammation). Stages two (proliferation) and three (remodeling) will follow automatically. Step One: Inflammation – In this stage, in response to the injection(s), the body sends in macrophage cells, which help to clean up the debris and damaged areas. These cells respond as if another injury has occurred, resulting in controlled inflammation and increased blood flow. Step Two: Proliferation – In this stage, the body begins the process of repair and healing. Repair cells called fibroblasts, which are deficient in injured and degenerated tissue, arrive to the scene during this stage. Fibroblasts increase in number at sites of injection over the course of four to six weeks, and secrete a substance called collagen, which is a very strong and relatively inelastic substance. This newly formed collagen makes structures thicker, denser and stronger. Step Three: Remodeling – In this stage, the newly formed tissue continues to mature for one to three years. Improvement, therefore, may continue for up to three years after treatment. When considering any sort of procedure, many patients want to know exactly how safe these procedures are. Regenerative treatments are very safe when performed by a trained and highly skilled physician who has an in-depth knowledge of anatomy and experience using these techniques. All procedures at TLC are performed personally by Dr. Maria Hopp, who has more than 20 years of experience in the medical field and has performed hundreds of regenerative procedures. 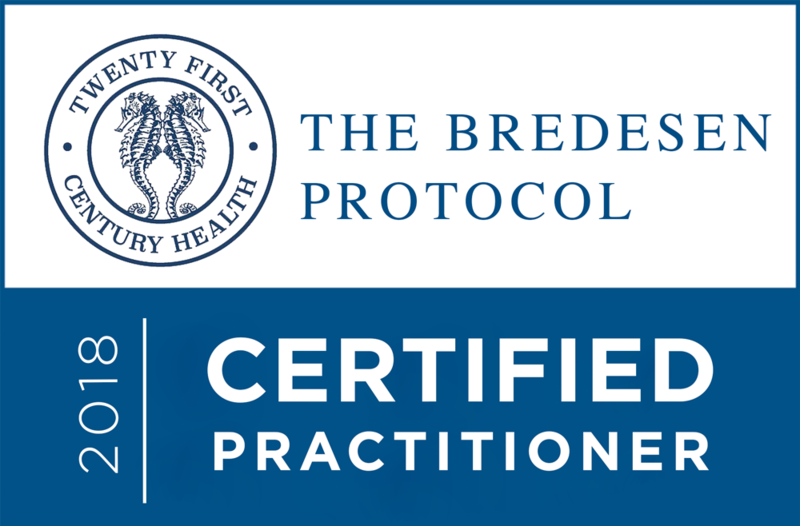 When doing any procedure utilizing PRP performed at The Littleton Clinic, only FDA-approved PRP kits are used. As it stands currently, there have been no reported serious side effects from PRP prepared with FDA-approved PRP kits, ever. One of the primary risks of any procedure involving blood is rejection, but because the procedure utilizes the patient’s own blood, this risk is eliminated! Proper sterile technique is always used to reduce the risk of infection. The use of needles involves risks, but complications are exceedingly rare. The solutions and techniques used have been shown to be safe. The most common side effect is discomfort due to the injections, as well as temporary soreness, stiffness, and occasional bruising. Although injection discomfort cannot be altogether eliminated, it is well tolerated in most cases. Local anesthetic is used prior to the injections (either Lidocaine injections or topical anesthetic cream, depending on the procedure) to decrease discomfort. If necessary, pain can also be reduced by the use of prescription oral medications for pain control and/or sedation. 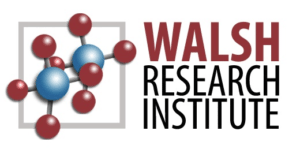 If you are interested in learning more and seeing the scientific explanation behind PRP, check out an extensive list of case studies here.